This Saturday at home to league leaders Old Loughtonians (2.00) Men’s 1st team player-coach Ben Wright plays his last game for the club before taking up his playing and coaching role with Old Aquinians HC in Perth, WA and I know he goes with the best wishes of all members and supporters of the club. This is a wonderful opportunity for Ben to further develop his hockey career. His departure also, of course, leaves a huge gap for the club to fill bearing in mind that Ben is by far and away the team’s leading goal scorer. His worth to the team was again demonstrated last Saturday when he scored both goals in the away 2-2 draw with Cambridge University (taking his total for the season to 28 and his career total to 96) and needless to say his coaching will also be much missed. The club now has the task of replacing Ben as coach or as player-coach, starting in July, and the position is being widely advertised including via England Hockey, Active Norfolk, Norfolk Hockey and The Hockey Paper. Informal enquires are very welcome and should be directed to coaching manager Peter Dolton on 07773 069327 or via doltonpj@yahoo.co.uk with applications by letter and/or CV by email to Peter by 31 March 2017. AUCTION OF PROMISES – the excitement continues to grow! Please click here for the 65 Lots. Please come with your team-mates. The first three results at Weybread on Saturday were 1-1 draws for the Ladies’ 5ths, Girls’ Development and Ladies’ 3rds and after narrow defeats for the Men’s 5ths, Ladies’ 7ths and Men’s 2nds we had to wait until the last game of the day for a home victory. But when it came it was a splendid 11-0 effort by league leaders Men’s 3rds over Pelicans 2nds. After the frustration of their run of 18 home wins coming to an end the previous Saturday captain Matt Brand and his team were keen to get back to winning ways. They were 4-0 up at half time through Gavin Cole, Phil Cobbald (pc), Greg Jagger and Matt (pc). After the break Gavin got a hat-trick with typical tap-ins at the left post before Tom Norton fired in the best goal of all with a shot into the top left. Adam Lascelles then got in on the act with a brace before Gavin got his fifth taking his total to the season to 23. Meanwhile Pelicans were playing far better than the final score might suggest. Jose Tibbenham put the 5ths ahead against Broadland 2nds early in the second half before a firmly struck ball into the home circle was touched high into the net much to the astonishment and delight of Broadland forward for the equaliser. Meanwhile league leaders Girls’ Development battled to a very good point against Norwich City with Keira Wheeler getting their late goal from a pass by Jess Tarrant. Next into action were the 3rds against Christchurch and it was a game of injuries with the worst suffered by captain Sarah Legg early in the game when her firmly hit penalty corner strike rebounded off a defender’s foot and hit her in the forehead and later in the game when Charlotte Rourke-Beasley took a nasty blow to her face. This meant Magpies were now down to ten players and Christchurch took advantage to score a well taken breakaway equaliser. Charlotte had put Magpies ahead in the first half when at a well worked penalty corner she took a return pass from Amy de Selincourt before thumping the ball into the net. For Magpies Sophie Child and Phoebe Preece were prominent with some strong attacking down the right and Rhe Lascelles hit the bar in the second half. The Men’s 5ths equalised against Dereham 3rds when Hugo Thomas went down the right before skilfully creating a chance for Chris Hall to sweep the ball into the net but the team was unable to find a second after the visitors had retaken the lead. The Ladies’ 7ths had the luxury of a squad of fifteen players and they did extremely well to hold league leaders Broadland 3rds to 2-1 with their goal coming from Lizzie Adcock. As for the Men’s 2nds it was a case of what could have been before they went down 4-3 to second placed Bourne Deeping. They were twice two goals ahead through strikes by Martin Fields, James Osborn and Duncan Steven before the visitors made it 3-3 at half time. The home defence looked more secure in the second half before Bourne Deeping got their winner in a late goalmouth scramble. A draw would have been a fair result but as we all know sport doesn’t work like that. Away from home there were wins for the Ladies’ 2nds, Ladies’ 6ths and Boys’ Development, draws for the Ladies’ 1sts, Men’s 1sts (as mentioned above) and defeats for the Ladies’ 4ths, Men’s 4ths and Men’s 6ths. The Ladies’ 2nds beat Cambridge University 2nds 2-0 with their goals coming in the first half through Anna Tighe and Laura Tibbenham. This was Laura’s 15th league goal of the season (she also has two for the Mixed) one behind mother Jose in their family competition! Anna and Lucy Field were Joint MOTM with the team’s loyal supporters kindly looking after Lucy’s young son Ziggy allowing her to play. This coming Saturday the team is at home to Bury St Edmunds (12.00). The Ladies’ 6ths dominated the bulk of the game against Breckland winning 3-2 with goals by Honey Lamdin, Izzy Slade and Ellen Pope. With three minutes to go Louise Davy was injured in a collision while clearing the ball from her circle and was taken to hospital for X-rays on her neck. Fortunately she has suffered no serious damage and should be fit to play again after a few days of prescribed rest. The Boys’ Development beat Dereham 8-0 with their goals coming from Ben Emms (2), Ed Brice (2), Ben Waters, Joe Wicks, Ollie Currie and Freddie Herschel-Shorland. Elliott Chapman played well in goal while Sam Emms was outstanding in defence with his well-timed tackling. The team is without a game this weekend prior to their vital game home clash with Norwich Dragons ‘A’ on Saturday week which will almost certainly decide the league title. Meanwhile the Ladies’ 1sts drew 2-2 away to Southgate with goals by Maria Andrews (her 14th of the season) and Abby Gooderham and this Saturday they are away to Cambridge City (12.30) who scored a shock win last Sunday against league leaders Wimbledon. The Ladies’ 4ths, for whom Alice Evans-Hendrick was making her debut and Lottie Nickson was making a welcome return after being away for five years, went down 7-1 to a strong Broadland team. Magpies’ consolation goal was from a fine strike by Harriett Celerier. Alex Kilbourn converted a first half penalty stroke for the Men’s 4ths who went on to lose 3-1 to Bury St Edmunds 3rds in a game in which they failed to turn their pressure into goals. Finally the Men’s 6ths went down 5-0 to a strong Bury St Edmunds 4ths with four of the home team’s goals tantalisingly finding the net just inside the posts so goalkeeper and captain Eric Davy tells me! Eric is grateful to Arthur Johnson and Harry Haigh who doubled up having already played for the 4ths. Last Sunday the Ladies’ O35s reached the semi-finals (away to Jersey on Sunday 12 March!) of the EH Trophy beating Teddington at home 5-0 with their goals in an excellent performance coming from Anouska Stott (with 3 taking her total to 8 in four games), Kath Johnson and Angie Wheelhouse. ssmith091@btinternet.com and Nick McAllen nickmcallen@hotmail.com for help in running this Sunday’s tournament at Weybread. 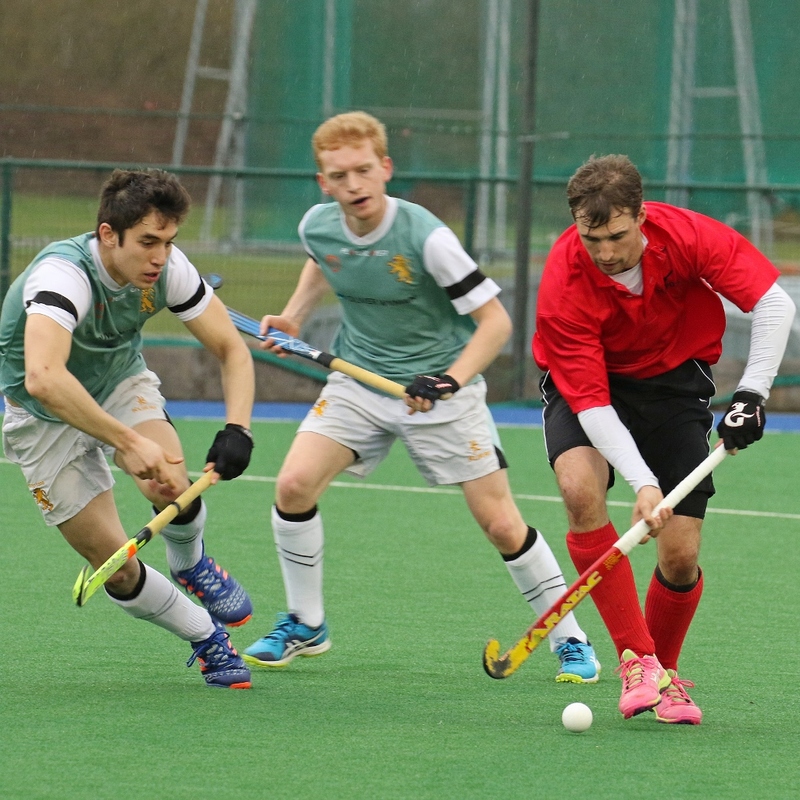 Good luck as always to all our teams this coming weekend including on Sunday the Men’s O40s away to Canterbury (2.30) in the semi-finals of the EH Cup. Please see the website for the full list of fixtures. FINALLY a plea for help from Steve Halliley bald_and_stubby@yahoo.com . His garden fence was damaged by Storm Doris. If you mend fences or know of anyone who could help Steve would you please contact him.